The Donut Shop is dedicated to selling, supporting and promoting works made by emerging artists. The Donut Shop is a curatorial endeavor focused on selling affordable work that promotes emerging artists and engages new collectors. Using the model of the bakery as a method of distribution the vernacular of food consumption is mimicked to define selection, packaging, and pricing within our online storefront. 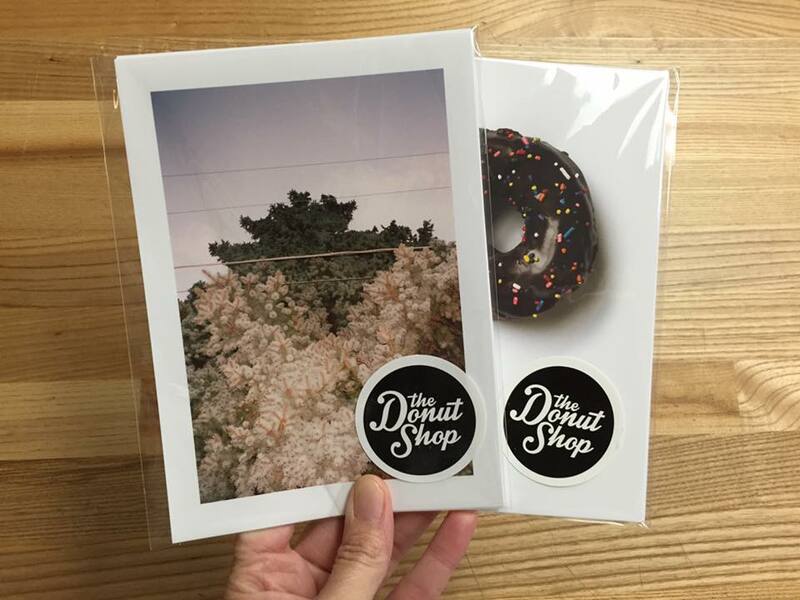 The Donut Shop’ takes the collection into the physical world sending the work directly to the audience. Combining an innovative form of artwork delivery and the public’s magical, wacky obsession with the donut, the aim is to encourage public engagement, accessibility, and empowered viewership at events and in the arts community. The ritual of selection, anticipation and savoring of one’s own aesthetic experience coupled with an affordable price point our hope is that a conversation emerges from this process and makes buying and collecting less intimidating. The sale of the small open edition Donut Prints provide the funding necessary to focus on the production and sale of larger publishing + print projects. We are beginning to offer limited edition books to monographs, zines and photo editions and we welcome submissions. To discuss selling your work or publishing ideas please send us a message. In the short amount of time The Donut Shop has existed it’s grown a small following of supporters from around the world. This interest is often due to the viewers enthusiasm for actual donuts but we are pleased that they are supporting the process with their purchase which, in turn, supports the production of more work by the artists.